All Children's Hospital provides expert pediatric care for children and families from all across the state of Florida and beyond. We provide compassionate, state-of-the-art care for infants, children and teens with some of the most challenging medical problems. 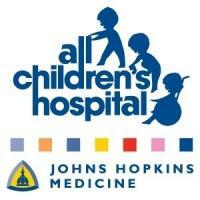 As a member of Johns Hopkins Medicine, we provide access to the most innovative treatments and therapies. Taking part in pediatric medical education and clinical research helps us to provide world-class care in more than 43 pediatric medical and surgical subspecialties. More than half of 259 beds are devoted to intensive care level services. We are the regional pediatric referral center for Florida's west coast. Physicians and community hospitals count on us to care for critically ill patients and to perform complex surgical procedures. Parents count on us, too. Our philosophy of family-centered care means that family members are an important part of the healthcare team. We put this philosophy into action by including parents in making decisions and plans for their child's care. Patients who are old enough to take part in these discussions are included, too. We asked patients, parents and our staff to share ideas to help us design the 259-bed All Children's Hospital that we opened in January 2010. The result was a spacious and bright hospital with individual rooms where parents can comfortably spend the night. Combining the latest technology and our commitment to family-centered care, our hospital provides an ideal environment for healing.